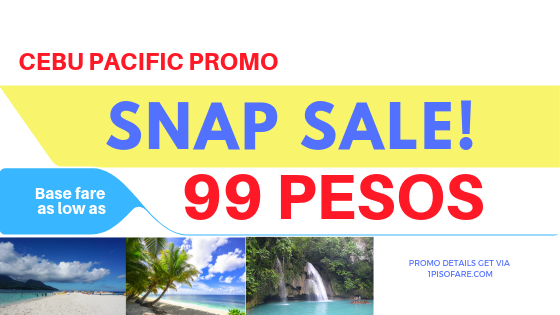 Snap Sale Promo 99 Pesos Promo Base Fare to Caticlan, Cebu, Siargao, Bohol, and more!!! 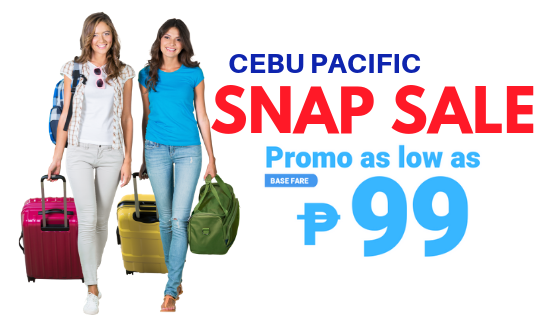 Cebu Pacific Snap Sale as low as 99 pesos base fare to the best summer destinations in the Philippines. This is a One Day Sale. 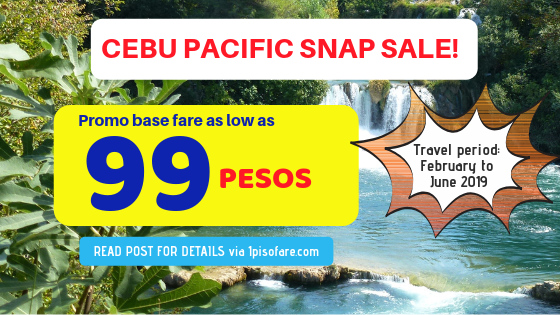 Book those sale tickets! 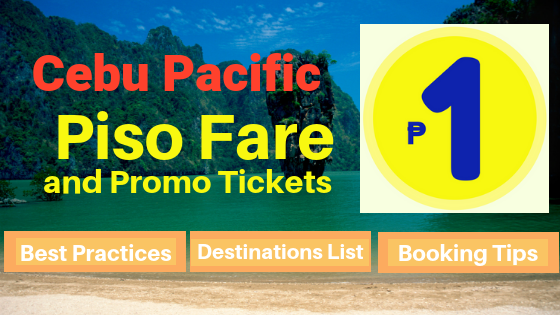 Cebu Pacific piso fare promo booking for 2019 to 2020, booking tips, best practices, and destinations list. 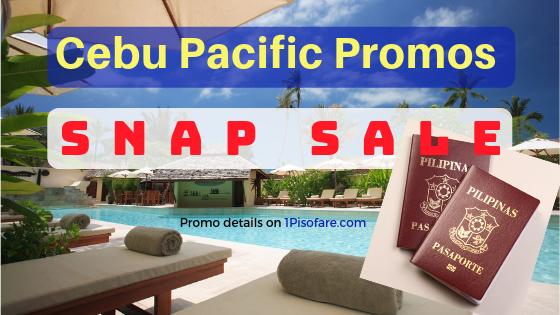 This is a 1Pisofare Guide to book and buy sale tickets.